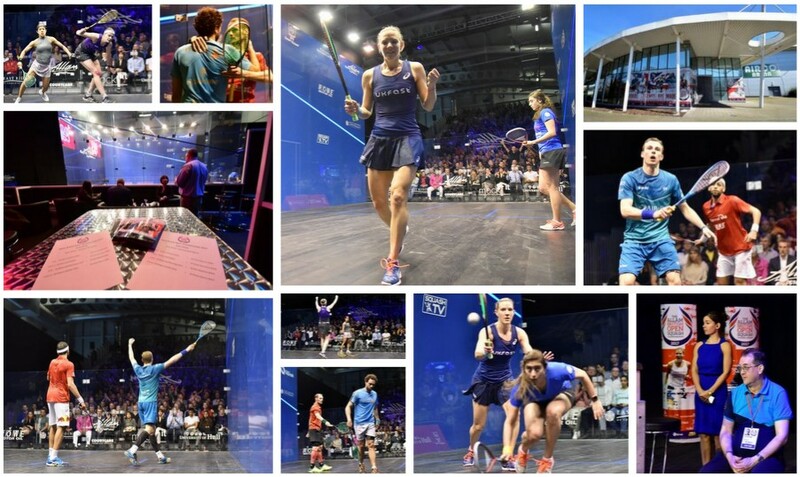 A historic day of semi-final action at the 2017 Allam British Open – the sport’s oldest and most established tournament – saw English trio Nick Matthew, Laura Massaro and Sarah-Jane Perry earn their final berths in Hull’s Airco Arena – marking the first time in 64 years that England has provided three finalists. Matthew, a three-time British Open champion, dethroned defending champion Mohamed ElShorbagy in his semi-final to reach his first World Series final since October’s U.S. Open. 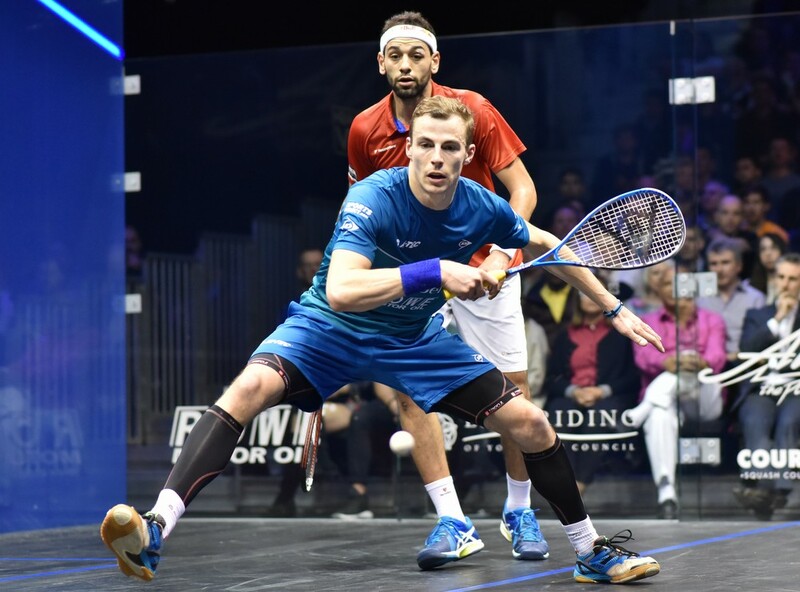 The 36-year-old Yorkshireman fought back from 8-6 and 7-3 down in the opening two games to go 2-0 up and survived a resurgence from ElShorbagy – which saw the Egyptian take the third – to seal an 11-8, 11-8, 8-11, 11-5 victory that will see him do battle with two-time winner Gregory Gaultier in the final. 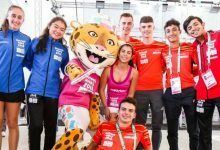 “I was trying not to let the adrenaline get to me, I could feel my heart beating through my head knowing the crowd were cheering,” said fourth seed Matthew. 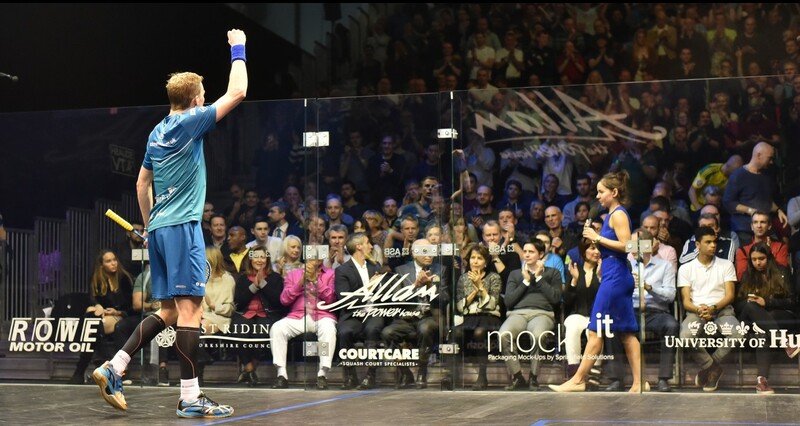 “I felt him wavering at the end which gave me belief. 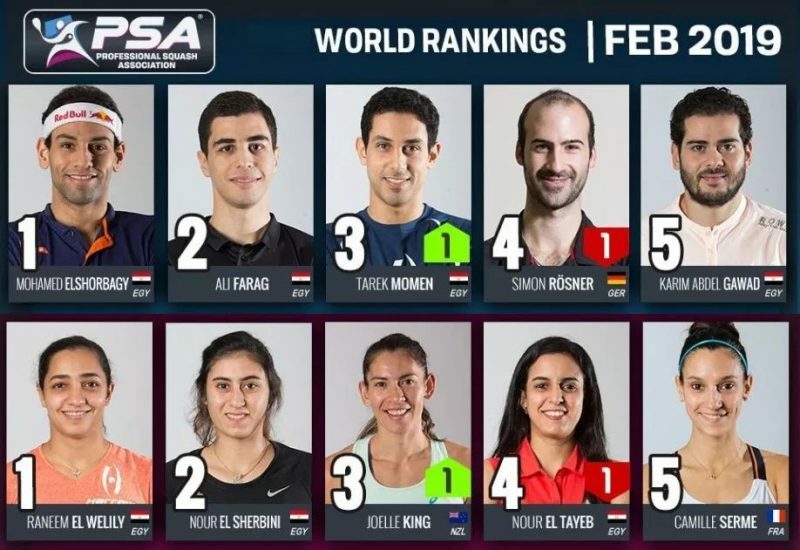 Never mind the World Rankings, I’m the World No.1 for my age. 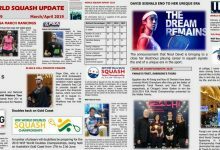 The peak is about five years ago, but me and Greg are trying to rip up that rulebook, we are always exchanging text messages saying stuff like ‘there is still life in the old dog’. 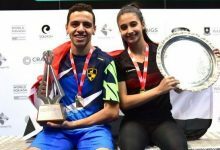 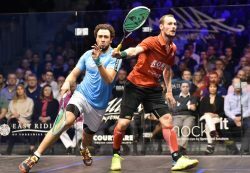 Matthew’s win over ElShorbagy means the Egyptian will lose his World No.1 ranking next month, dropping to World No.3 – with Gaultier in pole position to profit. 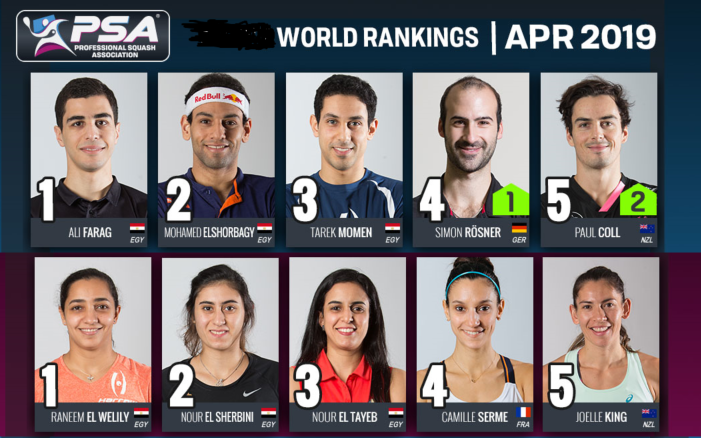 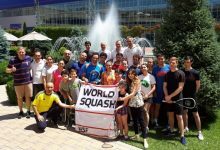 A win for Gaultier in the final will see the 34-year-old become the oldest ever World No.1, while a defeat will instead see World Champion Karim Abdel Gawad sit atop the World Rankings when they are released on April 1. 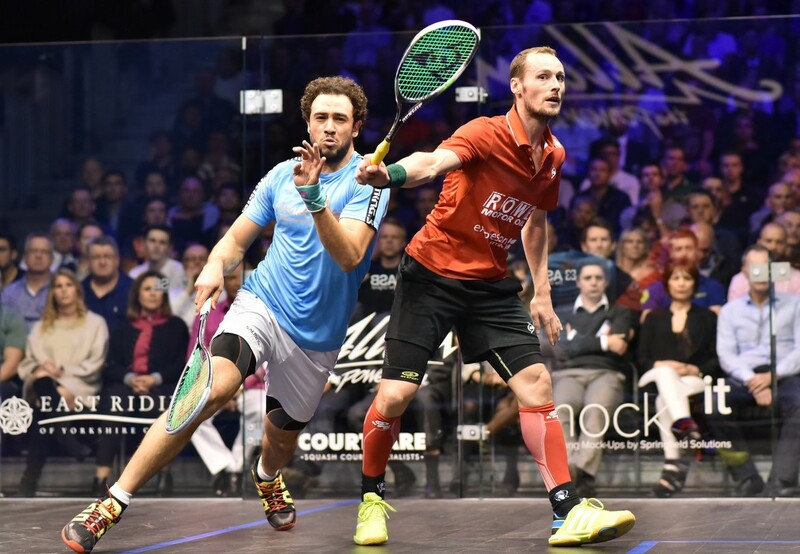 Gaultier moved through to the final after last year’s runner-up Ramy Ashour retired after the opening game due to a hip injury – the latest problem in a career that has been ravaged by injury over the past three years. 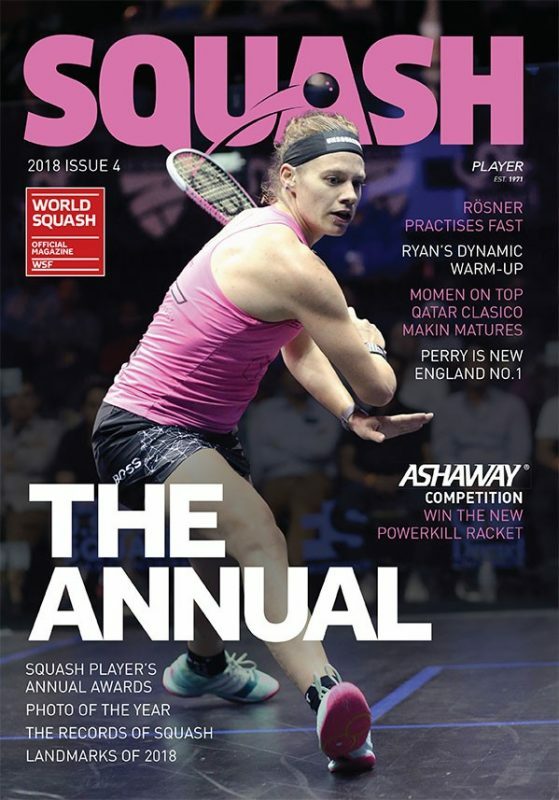 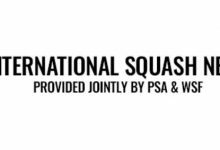 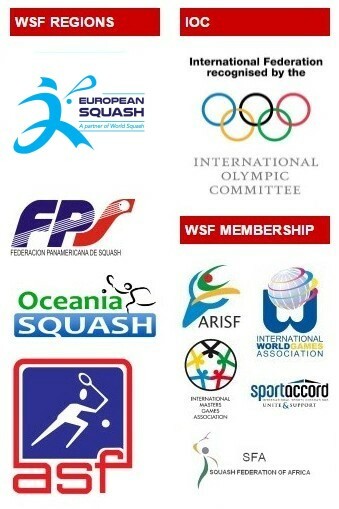 In the Women’s event, Massaro and Perry will meet in the first female all-English British Open final since Lisa Opie and Sue Wright in 1991 after they defeated 2016 winner Nour El Sherbini and five-time champion Nicol David, respectively. 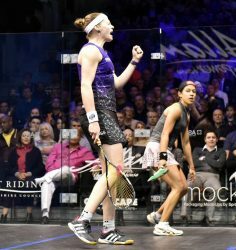 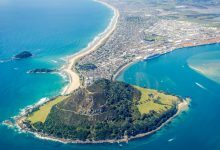 Massaro, the 2013 British Open champion, looked to be heading out of the prestigious World Series tournament after an imperious start from El Sherbini saw the World No.1 go two games ahead inside 20 minutes. 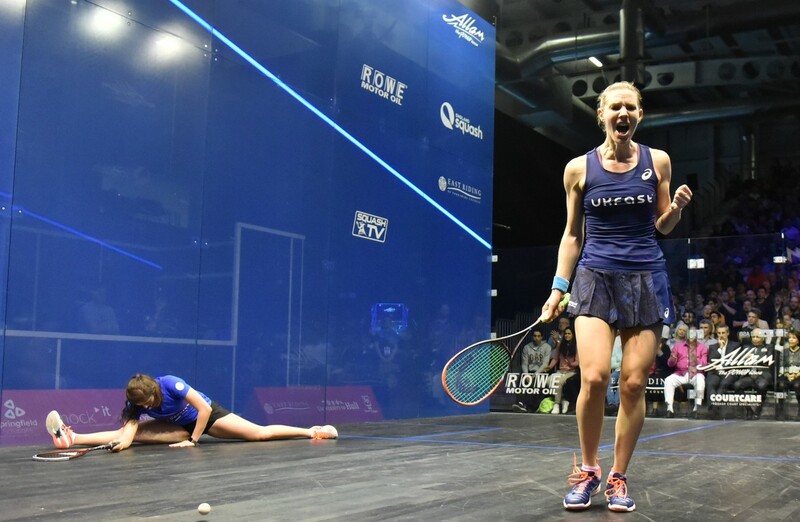 But Massaro, drawing on the energy of a passionate home crowd, dug in resiliently and swung the momentum of the match on its head to come through by a 5-11, 7-11, 11-5, 11-3, 11-6 scoreline. 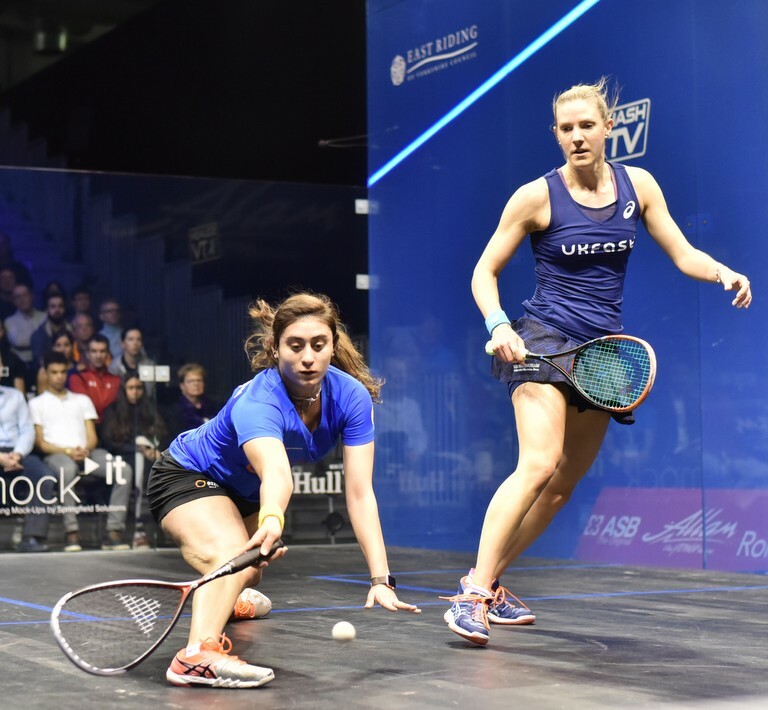 “I really wanted to do well this week, especially being at home,” said Massaro. 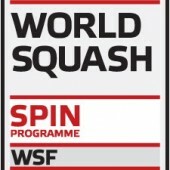 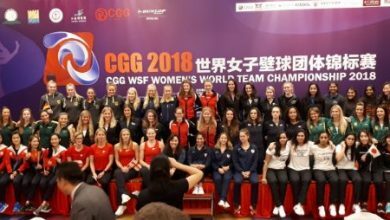 Perry reached her first ever World Series final after she defeated David in four games, claiming her second successive win over the Malaysian five-time champion. 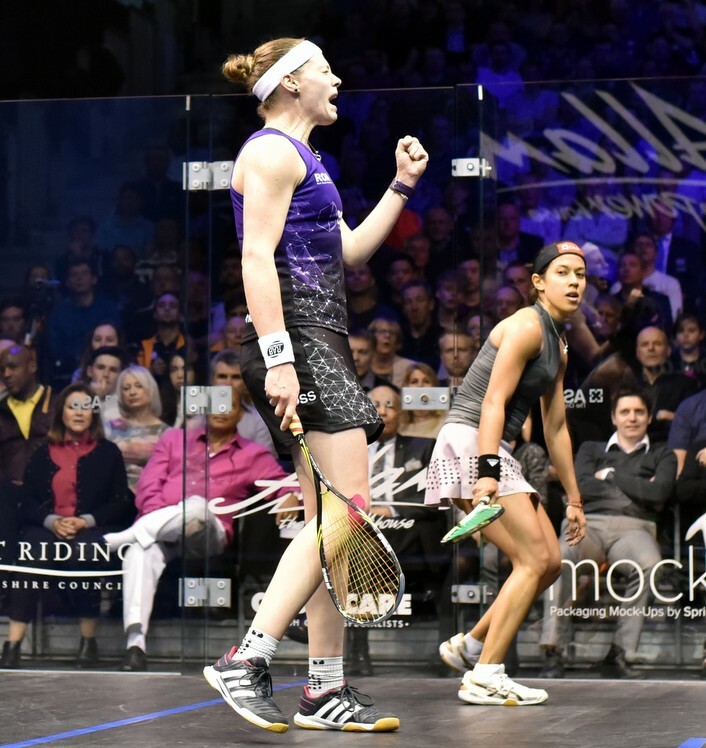 “Knowing Laura was waiting in the final for me, it gave me a bit of extra fight actually,” conceded Perry, who was less than a year old when Opie and Wright met in the 1991 final.